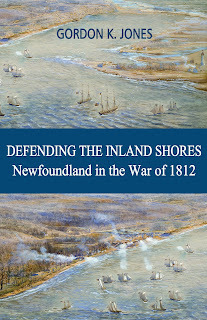 When famed Canadian author Farley Mowat passed away this past May at the age of 92, I realized that I have never read one of his books. It's a serious oversight on my part that I had to correct. I went through the titles and found many that I wanted to read and thought I would start with a book where he writes about his experiences fighting in World War II, And No Birds Sang. I have always had a great admiration for that generation who went to war and survived its horrors. 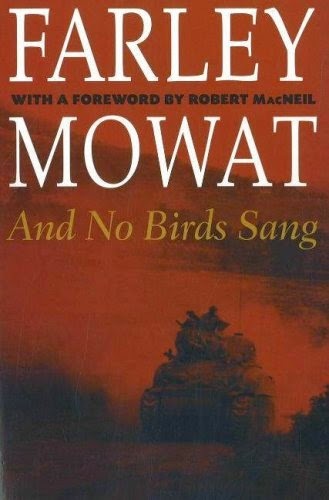 This is a brutally honest account of what Mowat witnessed and felt as the company went through Sicily and Italy in the allied invasions of 1943 and 1944. The book starts lightly with stories of trying to get into the army and the war, and some humorous stories of his training in England. When he finally goes into battle his mood and the mood of the book darkens as we witness the change that takes place within him and others he knew as they fought battle after battle ... after battle. Mowat is a fabulous writer. The book is so well-written and even the letters that he sent home have such eloquence to them. I am glad that this was the first book I read of his as I feel that I now have a bit of understanding of the person he was. After reading And No Birds Sang makes me hungry for more of his work. With all the books we were assigned to read in school, I wonder why we were never studied a Farley Mowat novel. I will be reading many of his works in the future!